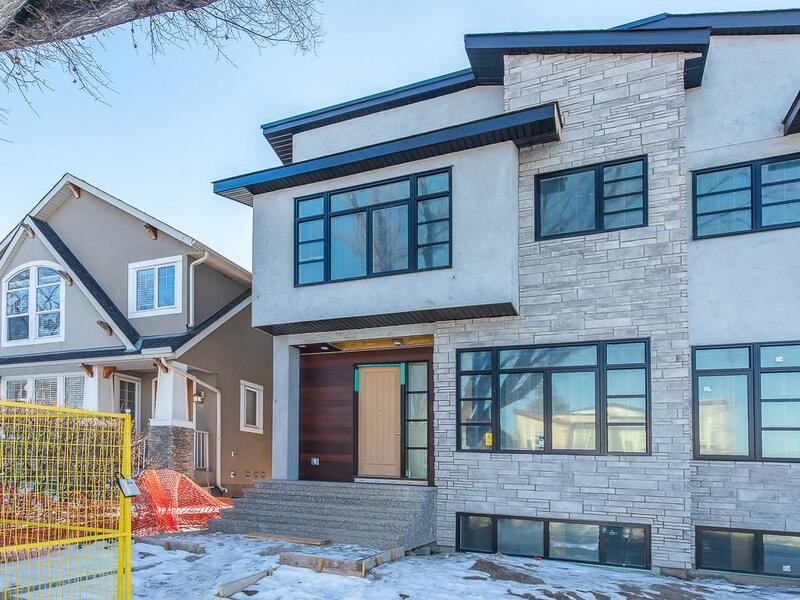 DESCRIPTION **OPENHOUSE SUNDAY APRIL 28 1-3PM** This stunning home is built by NUMARK Homes and is only a stones throw from the foothills hospital! It has a TON of high end upgrades and details that you will want to enjoy everyday! Picture this, you open the door to you home and you are instantly bathed in natural light, your eyes are immediately drawn to the exquisitely designed feature wall and into your open concept living area. You instantly feel excited when looking at your gourmet kitchen. With quartz counter tops, under cabinet lighting, custom cabinetry, SS appliances and your favorite, an induction cook top! This home oozes sophistication, with additional featured millwork in the living room and EXTRA storage in the mudroom, decorating and organizing this home will be a breeze. Now close your eyes and imagine your perfect master oasis. Vaulted ceilings, walk in closet, soaker tub and heated ensuite floors is a reality in this master retreat. There are too many upgrades and finishes to mention.